The cheapest ski day in the Jungfrau region! Each day we have a limited number of Super Saver ski packages available where you can save 42% off the regular 1 day rental rate*. 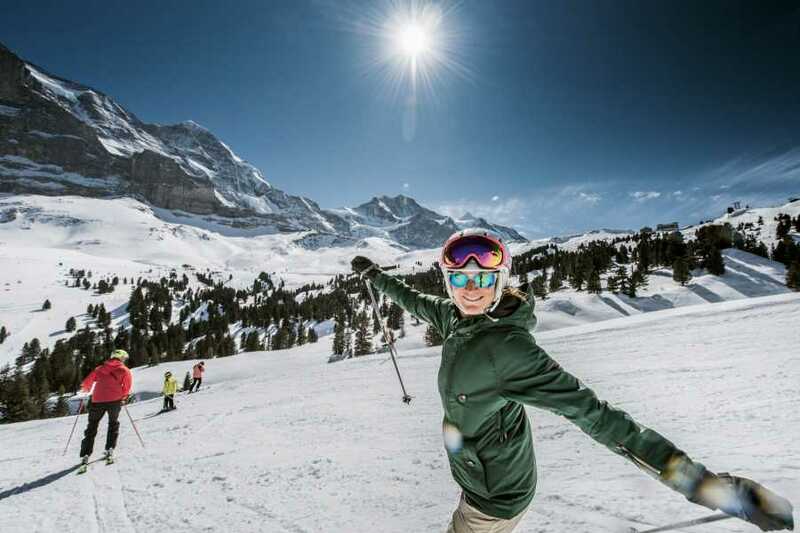 Add a Grindelwald/Wengen ski pass and you could be skiing for just CHF 99! If there are no Super Saver tickets left, you can still book a regular package ahead of time. Just present your voucher at Outdoor Interlaken rental shop, pick up your gear and hit the slopes! Avoid the morning rush by organising your ski equipment the evening beforehand. Take your time, relax and let us help you have the most amazing day skiing the Swiss Alps. *Super Saver packages are only available in advance and cannot be purchased on the ski day. Packages available until sold out. Not valid in combination with other discounts. Ski for Just CHF 99!